What do you get when you combine 18 Lego Master Builders, over 300,000 Lego bricks, and a new movie launch for the Lego Group? You get a full-size Chevy Silverado made entirely out of Lego, of course. To celebrate the launch of The Lego Movie 2: The Second Part, The Lego Group have put together this absolute beast. 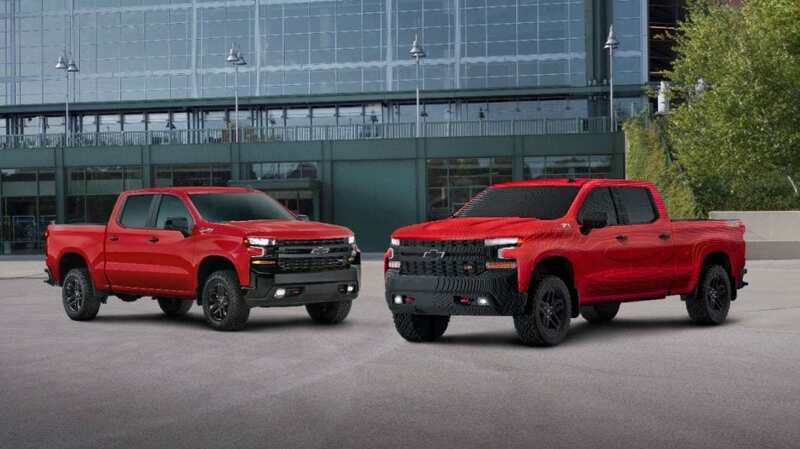 This 2019 Silverado 1500 LT Trail Boss may look like the real thing, but actually it’s the work of 18 Lego Master Builders who spent over 2,000 hours building a life-size replica. Using 334,544 individual pieces of Lego, these geniuses have built a truck that even has working lights and graphic details. The most common piece used is the classic red 2×8 stud brick, unsurprisingly, and the finished piece weighs a whopping 3,307 pounds! While it looks pretty cool, we can’t help but wonder why Lego decided to build a life-size replica of the 2019 Silverado 1500 LT Trail Boss. Well, it all makes sense when you’ve seen The Lego Movie 2, as the film actually features a miniature version of the same car. In order to celebrate the launch of the film, The Lego Group unveiled their version at the North American International Motor Show a couple of weeks ago. Lego’s Master Builders seem to quite like piecing together cars, as this isn’t the first time they’ve built one. 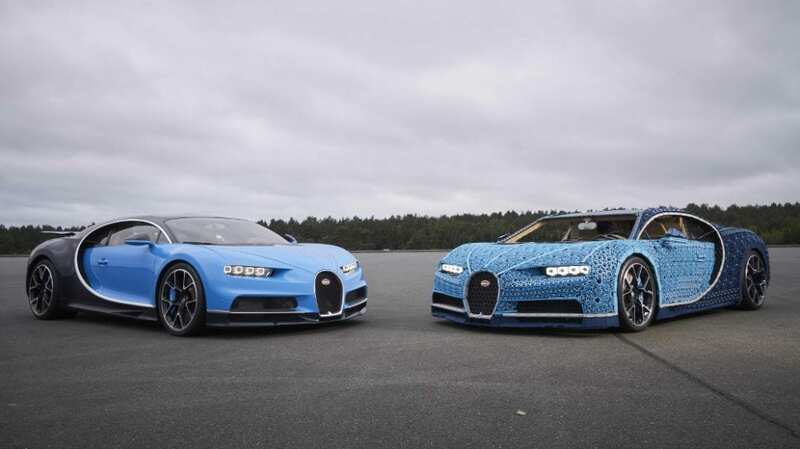 In fact, one of their best creations came back in August 2018, when they built a fully working Bugatti Chiron. Sure, it could only reach a top speed of 20kmh, but at least it looked cool. Their Bugatti took an impressive 13,000 hours, featured 2,304 motors, and 4,302 gear wheels! 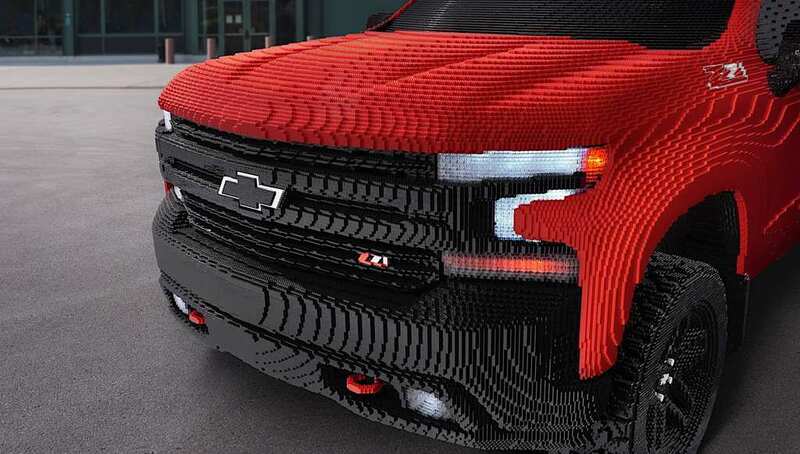 Chevrolet have welcomed their Lego version, saying that “The themes of determination and teamwork in the new movie align perfectly with our brand values.” Does it make you want a Lego Silverado or would you rather stick with the Bugatti?